The Dog Packs are going to be waterproof and, often times, the pack is also able to float as well, so should it slide off when canoeing or by the water it is not just going to sink. 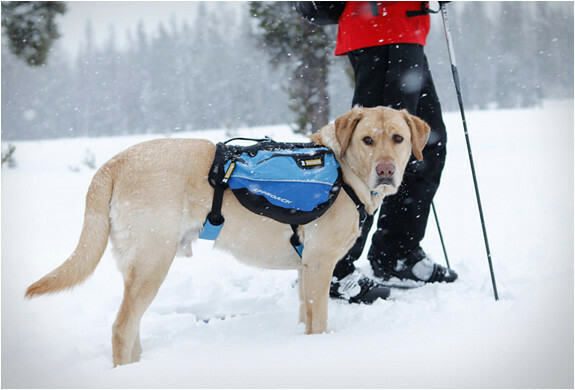 The packs can be adjusted in order to fit your four-legged friend perfectly snug. After all, having a bag bounce and twist around can be uncomfortable and it can also cause the development of a rash or blister. The secured and comfortable pack has equal weight on both sides, and when using it, you should do your best to try and keep the weight equal. Now, if you are bringing treats, it is a good idea to either make sure the treats are in a water and smell proof container, otherwise having food a few inches from their nose might become a bit distracting. Regardless though, these Dog Packs are great for you and your pet when you want to get outside and explore the great outdoors while also ensuring your pet carries along their weight.